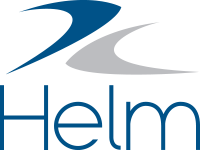 As part of our plan to improve reporting in Helm CONNECT, we're making some changes. These changes won't happen overnight; it will take several releases to roll out all of the improvements. We made some database improvements to make report generation faster. We also introduced new versions of the Tasks and Corrective Actions data sources and named them Tasks (Beta) and Corrective Actions (Beta). Both the old and the new data sources are available in Version 1.13 and we encourage you to try out the new (Beta) versions. They don't look very different from the previous version, but they are faster. Divisions—which are defined in your user profile—control the information you can see in Helm CONNECT. The new Tasks (Beta) and Corrective Actions (Beta) data sources filter data based on your division, so you see data only for assets in the divisions that you have permission to access. These two new data sources filter in a specific way—up/down—which means you can see data for assets in your own division and below, plus data for assets in divisions above you, but not data for assets in other branches. For example, let's say your company has a North America division with Canada and US divisions below it. If you're in the Canada division, you'll see data for assets in the Canada division and the North America division when generating a report, but not data for US assets, because that data is in a different branch. The only exception to this is corrective actions. When corrective actions aren't associated with a specific asset, they show up in the report for users in all divisions because they don't have any attached asset division information. NoteNot every data source filters or restricts data in the same way as the new Tasks (Beta) and Corrective Actions (Beta) data sources. This is by design because different reports use different data for different purposes. In Version 1.14, the new Tasks (Beta) and Corrective Actions (Beta) data sources will completely replace the original versions, and we will remove (Beta) from their names. Don't worry, we will migrate any reports you created previously with the original Tasks and Corrective Actions data sources to use the new data sources; you won't lose any reports or any data within the reports. If you've previously shared a report based on the original version of one of the data sources, it will automatically use the new data source; you won't have to share it again. We also plan to update the data sources for the Inspection Checklists, Inventory Checklists, Maintenance Checklists, and Forms reports to make them faster and so that they filter data by division based on your user profile. We're always working to improve our reporting tools in Helm CONNECT. The next report data sources on our radar include Audits, Parts History, Requisitions, and Documents.